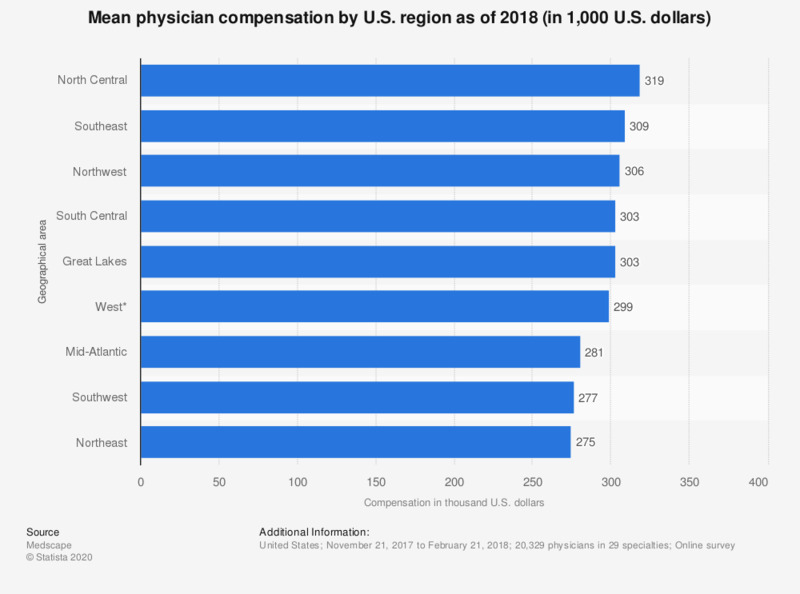 This statistic depicts mean physician compensation in US geographical areas as of 2018. In that year, the South Central area was the U.S. region with the fourth highest mean physician compensation. Physicians in this area averagely earned some 303,000 U.S. dollars. * Including Alaska and Hawaii.